On June 29th 2016 AMD officially launched the Radeon RX 480 and many people, including myself, snagged up one for themselves before they were sold out. After seeing what Nvidia’s Pascal architecture was able to achieve in term of power draw and overclocking I was eager to see what was capable with AMD’s smaller 14nm GPU, hoping for better overclocking than what the R9 Fury X was able to deliver and hoping maybe some of the high overclocks that were being reported ahead of launch were correct. Then the reviews started rolling out about the same time I placed my order. That’s where things got a bit interesting. Almost every reviewer were mentioning very poor overclocking, even the ones that tried to make it sound not-so-bad were only getting a few percentage in terms of frequency increase. 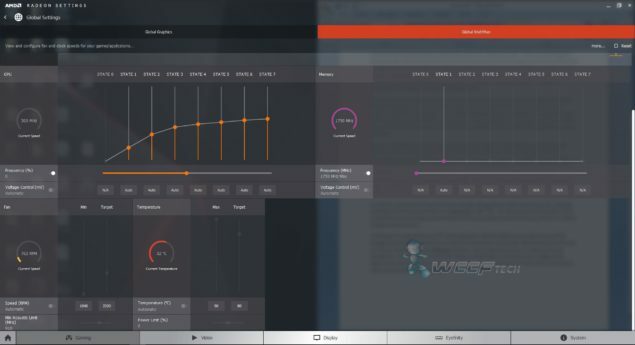 In the process of overclocking and what it took to get there the reviewers were finding that the power draw was increasing substantially, well past the point of what most consider being ‘safe’. I have to be perfectly honest; I was extremely disappointed by this. However, there was a beacon of hope, I did not order the more expensive cards I instead went for the modest $199 4GB model from XFX. After all that’s the price point that was most enticing to many readers and with the only variation from the 8GB model being memory capacity and a slight down-tick in memory speed, it seemed like the best value card. 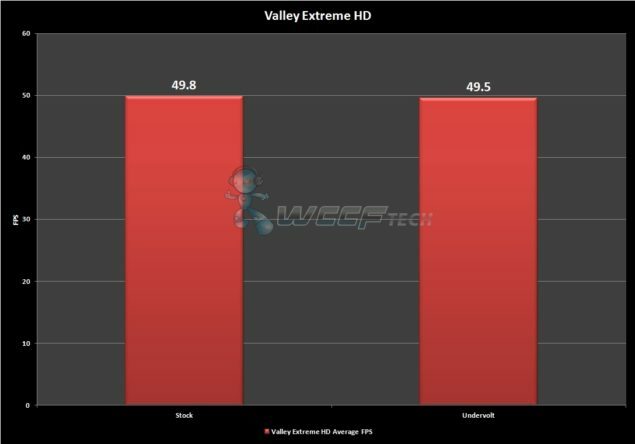 There was good news that came out of the less than impressive overclocking results, and that was that it yielded so little benefit that it is arguably a pointless endeavor. But how is that good news? Easy, the card was performing great, much better than anything else at $199 and (so far in my testing) as fast as my beefy 8GB XFX R9 390. 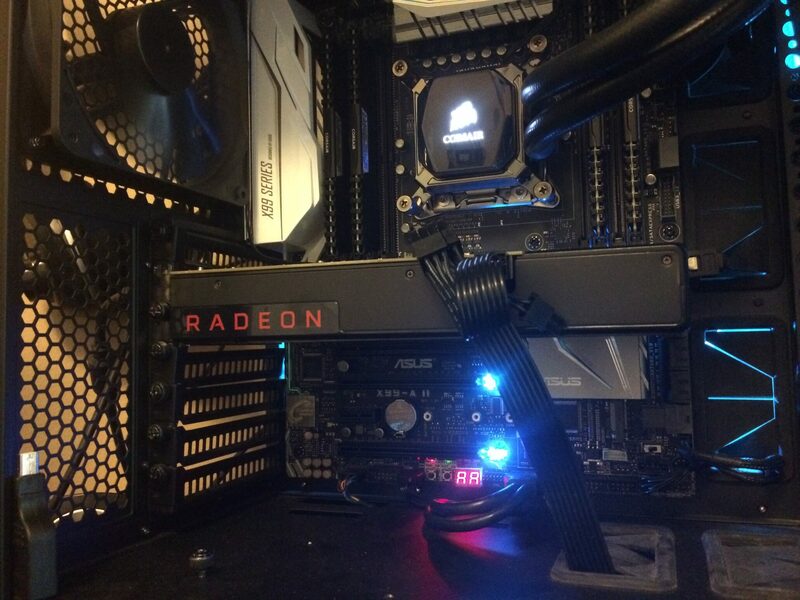 I had already gotten several aftermarket cooling solutions to see just how much extra performance we could get out of it, seeing that was a pointless journey I sat all of those to the side after getting my card in the mail the next day. I found that my card wasn’t anything special, it only got up to around 1320MHz on the core and temperatures went wild in the process cresting 90c easily. The total system power draw I was seeing while running sat my RX 480 right between the EVGA GTX 960 SSC and the XFX R9 380 OC, which while better in terms of performance per watt, was still a bit higher than expected. 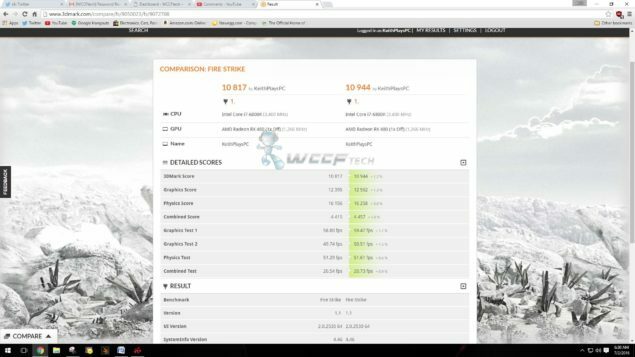 So what do you do when the performance is already really good out of the box and you can’t really get anything out of it by overclocking? You underclock it right? NO. You take the power levels down to the lowest level without losing any performance so that you greatly increase efficiency, but to do so without losing any performance. In the past this required the use of 3rd party applications like MSI Afterburner to take control of the voltage and power limit of the GPU core, but with the release of the RX 480 AMD has seen fit to toss out Overdrive in favor of their new WattMan software. No, no superhero but it is a super tool for the average Joe. Giving us access to several P-States and allowing us to manual set the voltages at the higher end of the performance target, we could potentially reduce the power draw of the GPU and still have the same effective performance. Going into Wattman within Radeon Settings, we simply set the Voltage to manual control and adjust the final two P States down slightly. It doesn’t take much with GPUs to be effective, but you can get experimental and maybe drop your voltages even lower. There have been reports of people lowering the voltages and getting better overclocking results over on reddit. 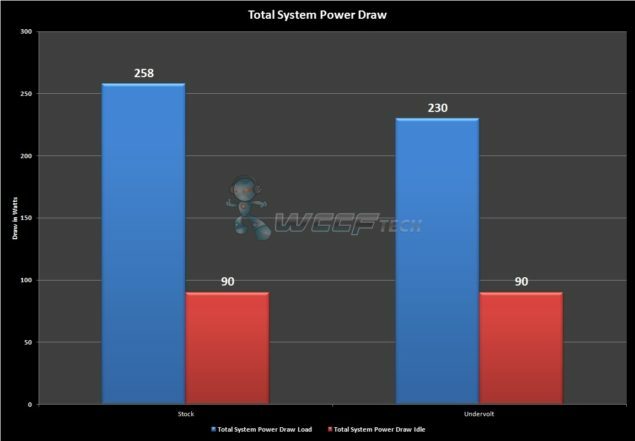 We took the total system power draw from the wall using a Kill-A-Watt after running Unigine Valley for 30 minutes. But none of this matters if we lose performance, because this entire point of this was to keep our performance but ditch some leakage and over use of power. So how did we come out? Not too bad, see for yourself. Throughout 3DMark Firestrike and Unigine Valley we saw no negative change in performance, if anything they improved in Firestrike. We were able to maintain the 1266mhz boost clock even with it being undervolted slightly and see varying degrees of improvement. Temperature being reduced by 1c may not look impressive, but you see that the fan is now spinning at 44% instead of 50% reducing noise leves. We also see that the GPU power draw is more in line with what we were expecting based on the 110w GPU Core power Draw claim, coming in at 112.5w versus the stocks 124.2w. Lastly we see a drop in maximum voltage delivered to the card, coming in now at .9875v vs the stock 1.0375v, and that’s the magic that made all of this happen. In the end, did this delay my full review of the RX 480? Of course, this took quite some time to validate as I didn’t want to perform a 5 minute run and say good to go, but instead wanted to bring you all something useful and tangible that may help people who bought these cards and may be just a little bit concerned over the power draw after all of the red flags that have been raised over the past couple of days. Just as an FYI, throughout the duration of my full review for the RX 480 I will be doing all of the testing at stock values. I just wanted to let you know that this guide will not be used for that. Now, if any of you have tried this, or do try this, let us know how it works out for you.